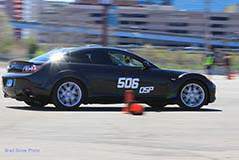 For anyone that has played with HID ballasts, they know one of the most frustrating things is to mount them in a non oem location while protecting them from the elements. 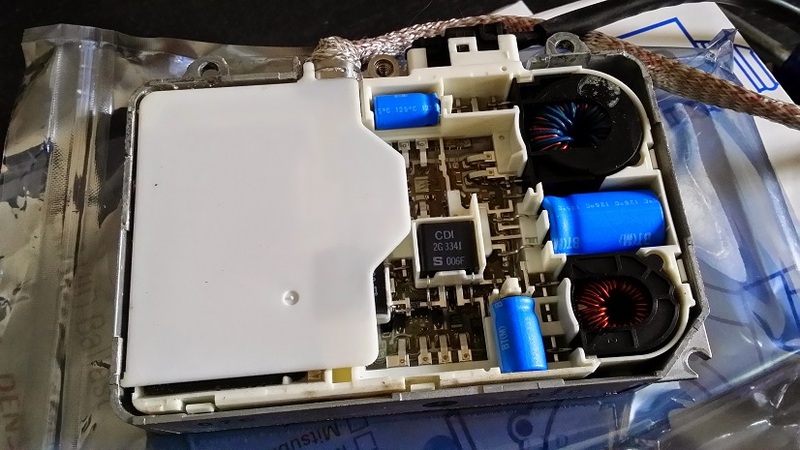 Most if not all ballasts are not waterproof, which means it is very easy to turn your purchase into a paperweight. A common thing that is done in engineering to help protect delecate circuitry from the elements is a process called "potting". 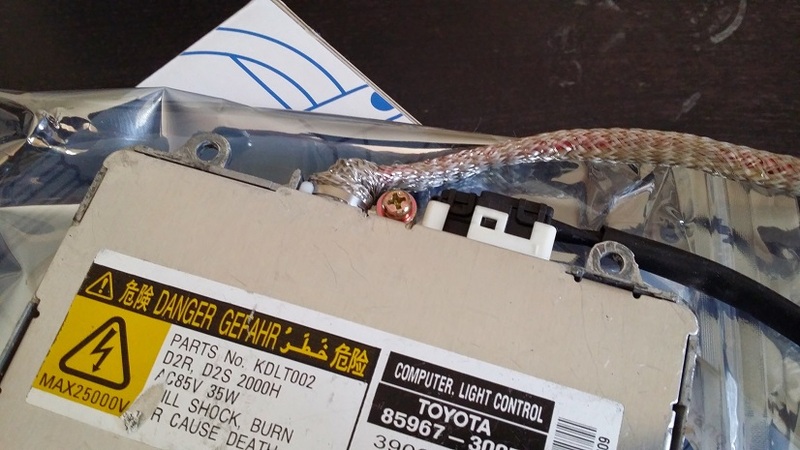 This can easily be done with OEM ballasts to ensure that they are protected from exposure to water. Potting is done with something called 'potting compound' which can be found at circuitry suppliers and other specialty stores. The first thing that we want to do is to open up our ballast by locating the screws that hold the cover on. In the case of the Denso Slim, there is only one phillips head screw near the igniter harness. Once the screws that hold the cover on the ballast have been removed, you can start to gently pry open the cover. 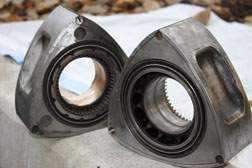 In the case of the Denso's, they require a bit of work to remove the cover. Simply start on the edges with a flat screwdriver or a knife, and gently open the cover. 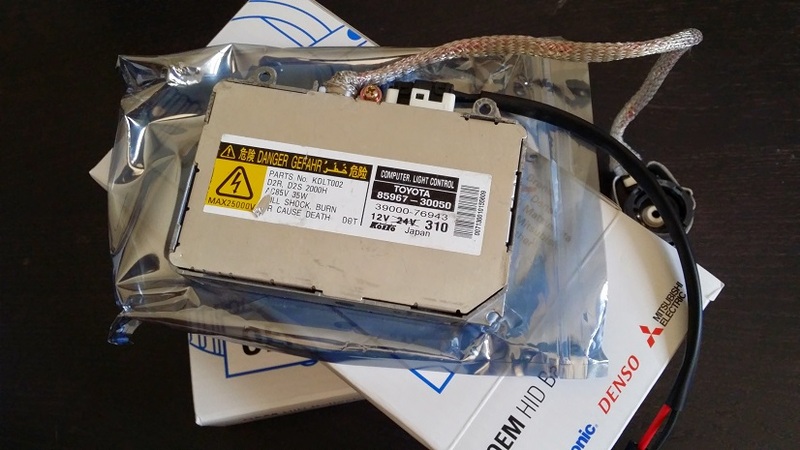 The Denso ballasts once open, have a plastic cover that protects one of the components from getting shorted out against the case of the ballast. This can be easily removed by just lifting it off of the circuit board. 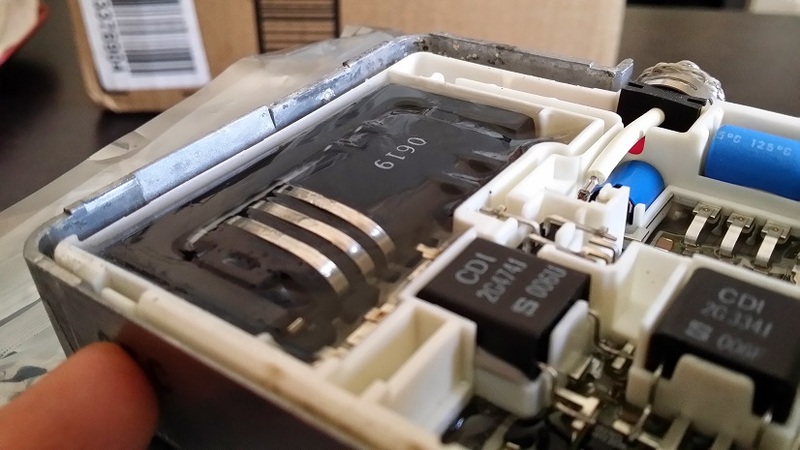 The Denso ballasts already have a compound applied to the circuit to help prevent against corrosion, but this does not protect against water. 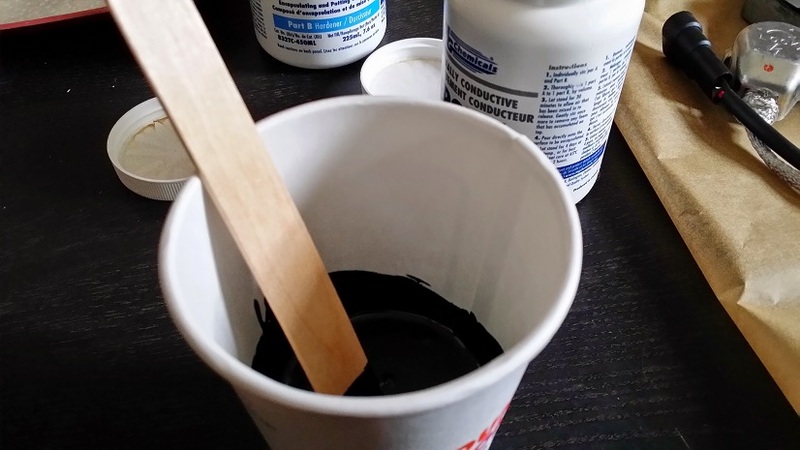 It is safe to add the thermal epoxy over the compound. Once both ballasts have been prepared, we then want to place them on a nice clean, level work surface. This will help us keep a clean work area for when we start pouring our thermal epoxy. 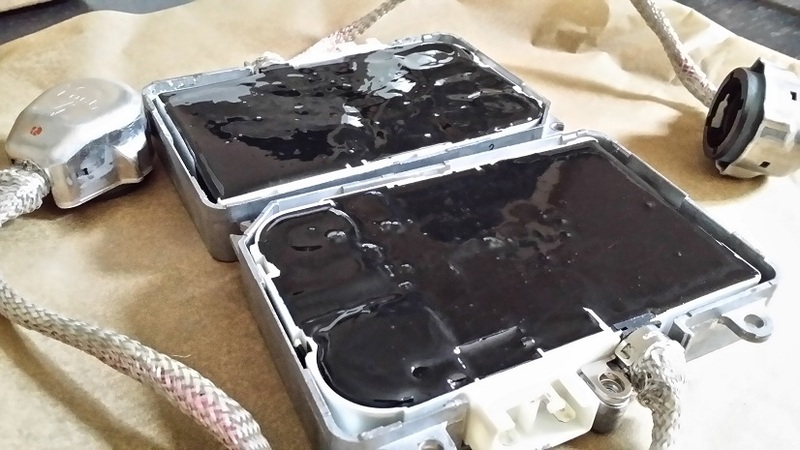 The process for prepping the epoxy is similar to any other compound that has multiple parts. The easy thing in this case is that both the epoxy and the hardener are to be mixed in equal parts. 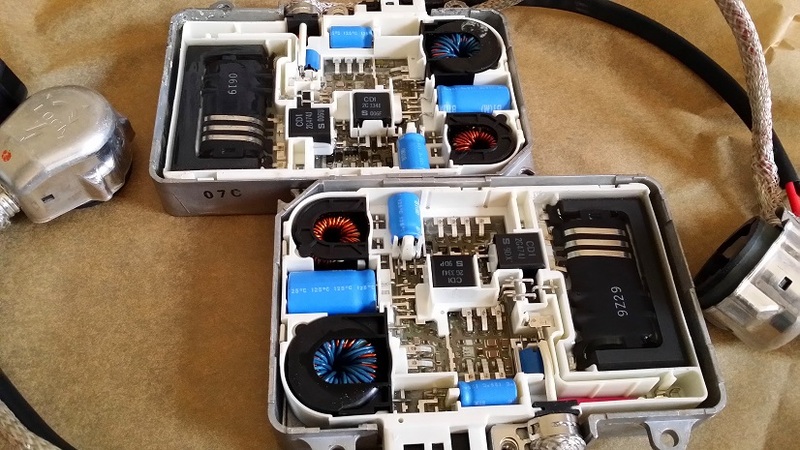 In my case, I was able to use 50mL of total mixed epoxy to coat both ballasts. 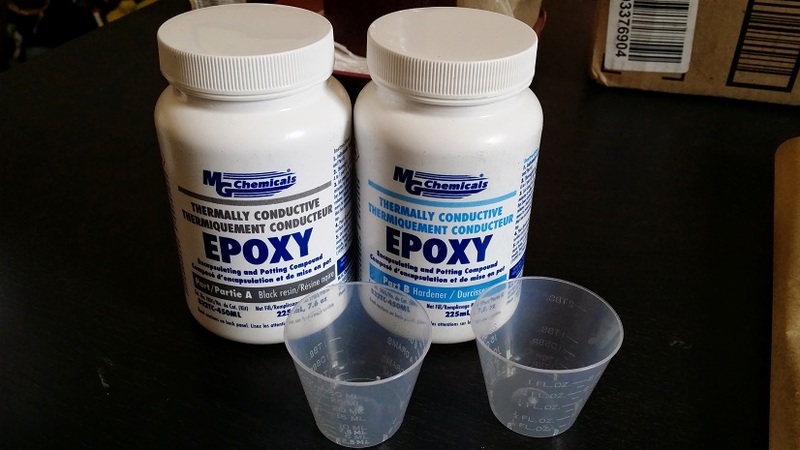 Simply mix the two parts of the epoxy in a clean container of your choice. Mix this well, and then set aside for about 15 to 30 minutes so that the air works its way out of the mixture. Once fully set, we will want to start slowly pouring the epoxy onto the internals of the ballast, making sure to cover every component. 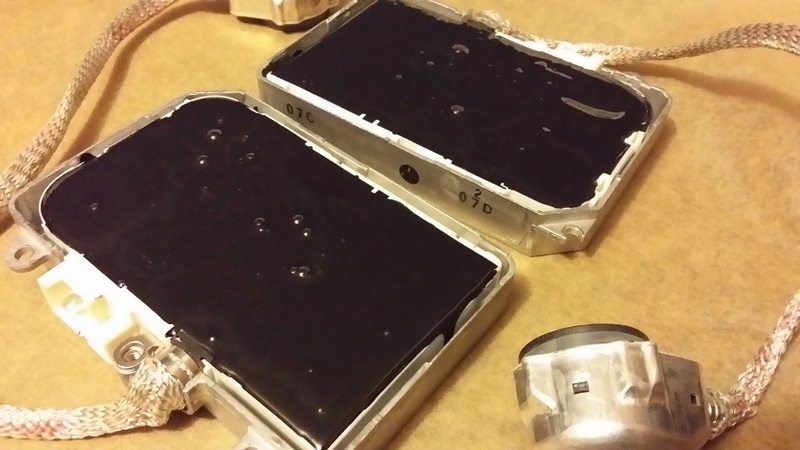 The epoxy should fill the ballast so that it just clears the internal plastic enclosure. 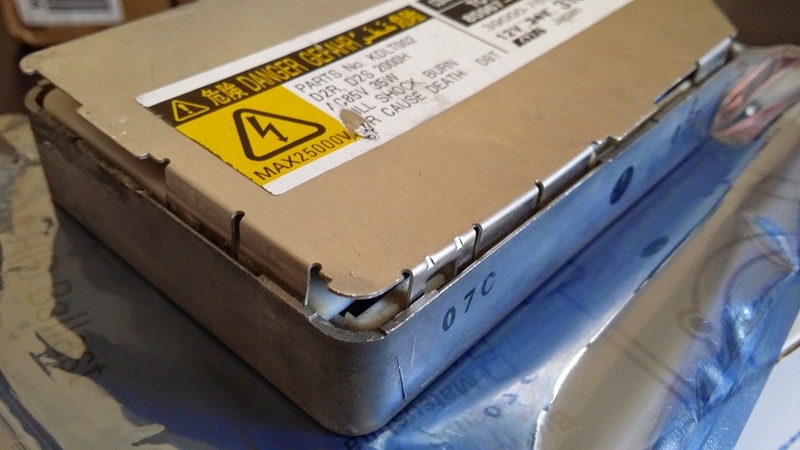 This will ensure that you have room to replace the cover. The instructions state that you want the compound to cure for a few days, however, you can accelerate the process by placing it in the oven at 130F for two hours, or 170F for one hour. 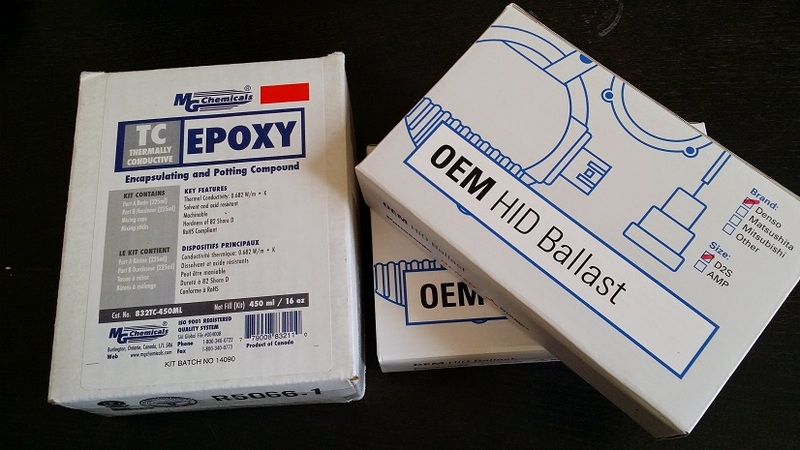 Once you are done, you can carefully reseal the ballast, and you can now move forward with a sense of comfort knowing that your ballasts are protected from any brief encounter with water.